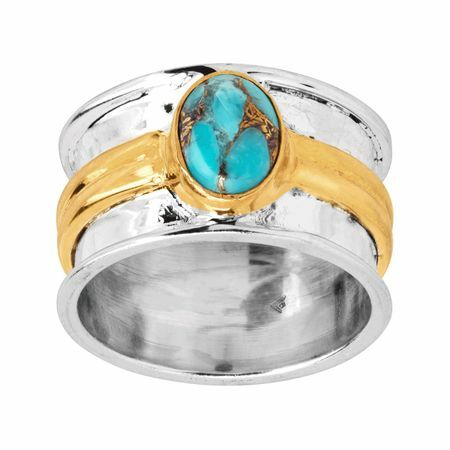 This sparkling ring features a bright copper turquoise stone anchored among a band of sterling silver with gold plating running through the center and around the stone. Ring face measures 7/16 inches in width. Piece comes with a “.925” sterling silver quality stamp as a symbol of guaranteed product quality.